Doctors are being more careful with opioid prescriptions as addiction and its effects get more recognition. More than half of doctors across America are curtailing opioid prescriptions, and nearly 1 in 10 have stopped prescribing the drugs, according to a new nationwide online survey. But even as physicians retreat from opioids, some seem to have misgivings: More than one-third of the respondents said the reduction in prescribing has hurt patients with chronic pain. The survey, conducted for The Boston Globe by the SERMO physicians social network, offers fresh evidence of the changes in prescribing practices in response to the opioid crisis that has killed thousands in New England and elsewhere around the country. The deaths awakened fears of addiction and accidental overdose, and led to state and federal regulations aimed at reining in excessive prescribing. Doctors face myriad pressures as they struggle to treat addiction and chronic pain, two complex conditions in which most physicians receive little training. Those responding to the survey gave two main reasons for cutting back: the risks and hassles involved in prescribing opioids, and a better understanding of the drugs’ hazards. The results also suggest a substantial minority of physicians may believe the pendulum has swung too far, depriving pain patients of needed relief. “Pain management is incredibly complex,” said Dr. Lynne M. Lillie, a Minnesota family physician and member of the board of directors of the American Academy of Family Physicians. Team-based pain care that empowers aching patients is effective, inexpensive — and hard to get. Now, Lillie said, keeping track of evolving science and state and federal guidelines add to the complexity. “For some people, they are simply having to say, ‘It’s too much. I can’t be all things to all people,’ ” she said. As policy makers sought to tackle the abuse problem, “the physicians were an easy group to target,” said Dr. Joseph Audette, chief of pain management at Atrius Health, a large Massachusetts medical group. But the regulations won’t solve the addiction problem, he said. Instead, they make doctors reluctant to prescribe opioids. “A lot of primary care doctors feel like they can’t comply. They’re overwhelmed,” Audette said. The four-question survey was conducted Dec. 15 through 22, sent by e-mail to doctors across the United States by SERMO, an online community that enables physicians to anonymously share ideas and concerns. SERMO periodically taps into its worldwide membership of more than 600,000 to conduct opinion polls; for the Globe’s survey, the company randomly selected 25,000 American doctors. Nearly 3,000 replied. Just over half of all respondents had cut back on opioid prescribing within the past two years or so, while more than two-thirds of family medicine and internal medicine doctors had done so. The percentage who believed patients had been hurt by reductions in prescribing differed little among specialties: 36 percent of all specialties, 38 percent of family doctors, and 34 percent of internists. Still, nearly three-quarters of respondents believe chronic pain patients have adequate access to treatments other than opioids. Cindy Steinberg, a national advocate for pain patients, speculates that doctors probably don’t follow up after referring patients to other care, and may not know that many can’t afford it. Although it’s unknown whether those who chose to reply to the survey are representative of physicians overall, the findings align with other data showing a reduction in opioid prescribing. Dr. Stefan G. Kertesz, a professor at the University of Alabama Birmingham School of Medicine, has witnessed the downside of that trend: chronic pain patients who have essentially been abandoned by their doctors in the stampede away from opioids. Kertesz recently published an article in the journal Substance Abuse showing that physician prescribing no longer plays a major role in sustaining the opioid epidemic, which is now driven by heroin and illicit fentanyl. “But public discourse has been contaminated by aggressive and inflammatory language that frightens doctors,” he said in an interview. Even specialists in addiction, while agreeing doctors should be cautious about prescribing opioids, also “fear that doctors are pulling back in a chaotic way that could be harmful to patients,” he said. Dr. Laura J. Simpson, a family medicine physician in Marblehead, sees benefits in the publicity about opioids’ harms: It paves the way for doctors to discuss why they won’t write a prescription for every pang. “People now understand. They don’t see it as you just not helping them,” she said. And Dr. Rebecca Andrews, a University of Connecticut medicine professor and internist practicing in Farmington, Conn., predicts that eventually the concern over opioids will lead to improved care, by deepening doctor-patient conversations about managing pain and pointing to the need for alternative treatments. 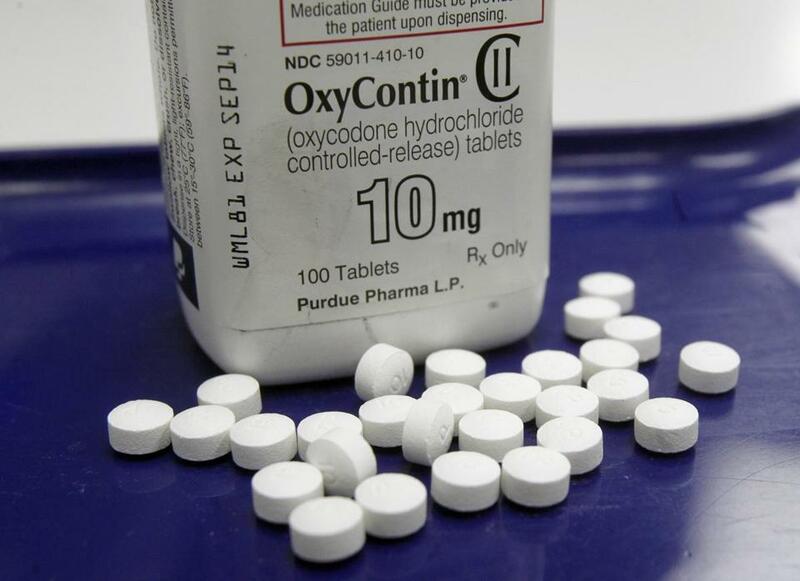 The decline in opioid prescribing is steady and nationwide, according to data from athenahealth, a Watertown company that provides electronic medical records. In Massachusetts, doctors and nurse practitioners using athenahealth software, who already prescribed lower amounts than their peers nationally, made even steeper cutbacks. In Massachusetts, the number of athenahealth patients receiving an opioid prescription dropped from a high of 6.9 percent in early 2015 to 5.3 percent as of Dec. 1. Nationally, prescriptions declined during that period from 8.7 percent to 7.8 percent. But despite low prescribing rates in Massachusetts, the state has one of the highest rates of overdose deaths. Those deaths continue to increase — the vast majority resulting from illicit drugs. Thus the effort to further restrict opioid prescribing amounts to “a case of generals fighting the last war,” said Dr. Stephen A. Martin, a family physician in Barre and University of Massachusetts Medical School professor publicly calling for a recalibration of attitudes toward the drugs. Opioids are often a poor choice for treating chronic pain, and most specialists agree that past prescribing practices were too lax. But opioids work for some patients who can safely take a steady dose, and rely on the drugs for daily functioning. Steinberg, who leads a chronic pain support group in Arlington, knows many such people whose doctors are taking them off opioids against their will. One member of her group has a severe spinal injury and now faces the loss of the one daily Percocet she relies on to sleep. “In many cases, doctors are walking away completely. They don’t even want to see patients in chronic pain,” said Steinberg, the policy council chairwoman for the Massachusetts Pain Initiative , a nonprofit concerned with improving the lives of people in pain. Felice J. Freyer can be reached at felice.freyer@globe.com. Follow her on Twitter @felicejfreyer. Correction: An earlier version of this story incorrectly described the SERMO membership.